This week in Washington D.C. the Cherry Blossoms were in full bloom. But, word that the Cherry Blossoms are putting on a show, does bring a smile . It might be a good thing that tax time arrives in the Spring. If I had to do my taxes during the gray, dreary days of winter I would be double depressed ! The newly emerging flowers put me in a joyful mood. I feel like the poet Wordsworth "And then my heart with pleasure fills, And dances with the daffodils." Unfortunately,tax time does NOT put me an a joyful mood . It does NOT make me feel like dancing ..unless you remember doing the "Stomp"
This blog aims to be light hearted. I won't even begin to discuss personal issues about how my meager tax dollars are being spent . It's bad enough just filling out the forms and doing the math . All those "easy" to do online programs just add to my aggravation. If they are soooo easy why do they give me a headache ? It's not like I have a complex portfolio of investments to sort out . 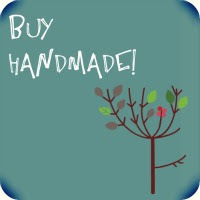 I have a teeny income from my day job and a microscopic income form my ETSY shop !!! How difficult can that be to document ??? I do not want to compute cost of goods or shipping expenses. I want to play with clay!!! I want to make fun flowers not deal with funds and fees!!! I think most people who have a hobby /addiction to making and selling, could do without the paper work . Artist and accountant are not often housed in the same body ! There is an art to keeping expenses balanced on the spread sheets. There is an art to keeping beads balanced on the jewelry designs. The skills are similar.But, not the same! For me balancing the beads is a challenge ,balancing the books is a chore. If the IRS calls ...I'm going to tell them to take a stroll along the tidal basin and enjoy the Cherry blossoms . That's why I let my husband do the taxes! I would love to see the cherry blossoms in D.C.! What a sight that must be! Taxes! I need to get mine done too. 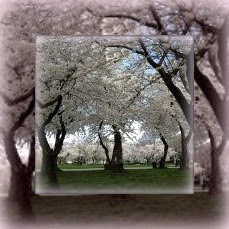 Enjoy the Cheery Cherry Blossoms and all the other Spring time flowers until you just absolutly have to do the taxes. I love the Cherry trees too... lucky that I have one outside my studio window .... so pretty.